Is your Kawasaki KFX 400 ATV cooling fan not coming on? Are you wondering how to put your Suzuki 400 z camshaft back in time? Do you need to diagnose an electrical problem? Not sure which parts you’ll need or how much it could end up costing you? Well, you’ve come to the right place for help. 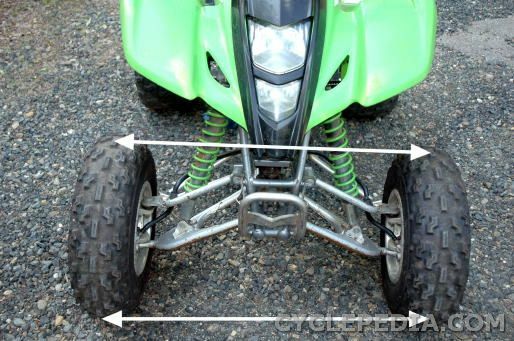 The Cyclepedia Press LLC Z400 ATV online service manual provides repair information for Arctic Cat DVX400, Kawasaki KFX400 and Suzuki LT-Z400 sport ATVs. Our online help system features detailed step-by-step instructions, full-color photographs and color coded wiring diagrams. 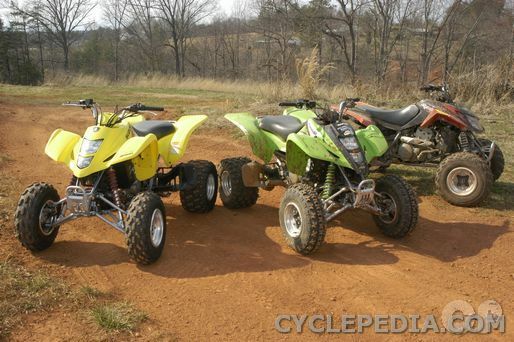 All procedures are performed by an experienced Suzuki ATV technician onsite. You can view or print any part of your manual once you’re a member. When you subscribe to the Cyclepedia Press LLC DVX400 KFX400 LT-Z400 ATV Online Service Manual you’ll have access to the information you need within minutes. It’s easy to sign up and easy to use. There are no shipping fees to deal with, no waiting and no hassles. All you need is an internet connection. Dealers may purchase PRO access to our entire manual database for one low price through our Cyclepedia PRO Product. Click Here to get Instant Access to the Cyclepedia.com Z400 Service Guide now! When you become a subscriber you’ll get online access to the following information! The Cyclepedia LT-Z400 online manual has helped me tremendously. Thank you.